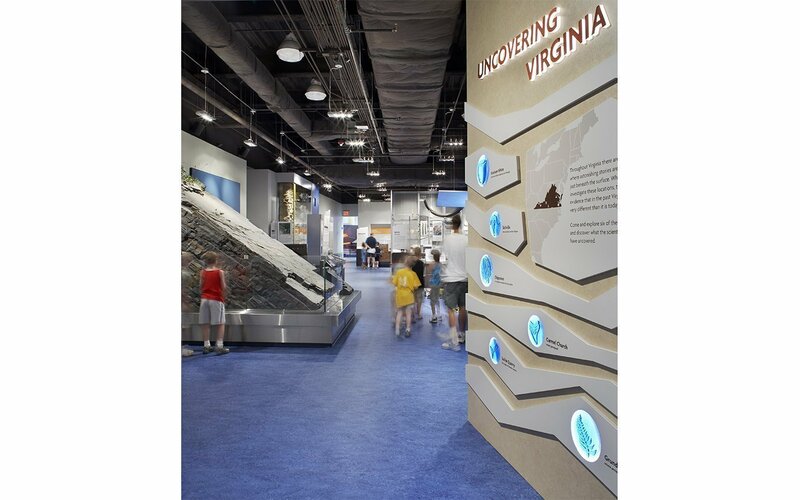 Founded in 1984, the Virginia Museum of Natural History is charged with collecting specimens of natural history (animal, vegetable and mineral) for the Commonwealth of Virginia. Staff curator-scientists examine and conserve these specimens, which are then stored and/or exhibited. The specimens are used in numerous educational programs, both within the museum building and across the state through traveling exhibits. Having outgrown its original home – a small, Depression-era schoolhouse – the Museum selected CJMW to help them design a new building that would not only house an expanded collection, but that would allow the museum to expand its educational and outreach programs. The design required the marriage of the program of a natural history research institution with that of a destination museum. 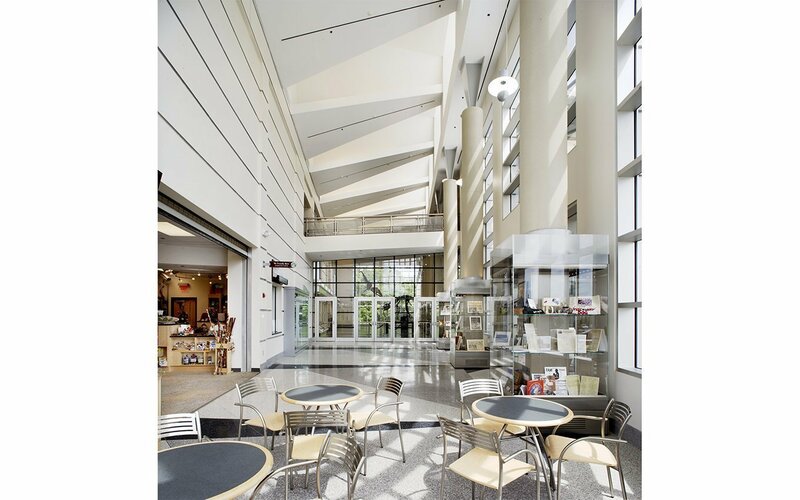 Interactivity was a key goal; architectural decisions both interior and exterior were based on creating opportunities for interaction between visitors, scientists, and staff. 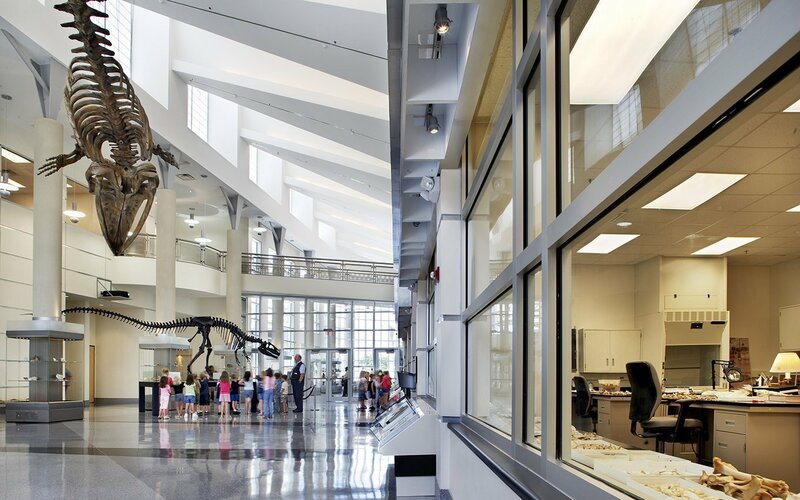 The museum consists of two wings, one for laboratory and collection functions – almost a quarter of the total space – and the other for exhibit areas, educational programs, and administrative offices. The Great Hall joins the two wings and links all building functions. Through large windows in the Great Hall, visitors can look into the laboratory spaces and talk with the researchers. The Great Hall acts as a transparent joint between the exhibit and conservation wings. 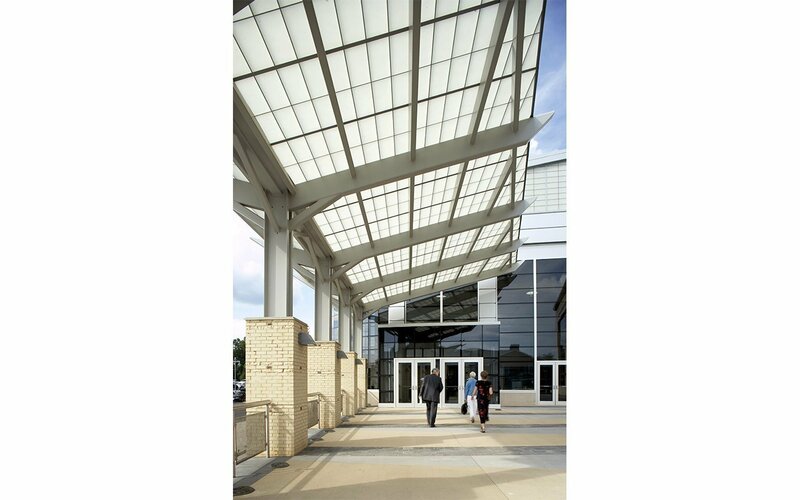 The design is based on natural rhythms and forms in which structural “skeletal” elements support the building “skin.” The visible structure echoes that of the two casts – a 140-million year old allosaurus, and a 40-million year old whale, found in a quarry in Caroline County, Virginia – that are showcased in the Hall. The interior color palette is derived directly from natural imagery. The overall color scheme is a blend of warm and cool neutrals comparable to the contrast found in natural stone, a piece of birch bark, or the feathers of an owl. Linear floor patterns reflect the layers of sedimentation and fossilized treasures this group of scientists painstakingly excavate. 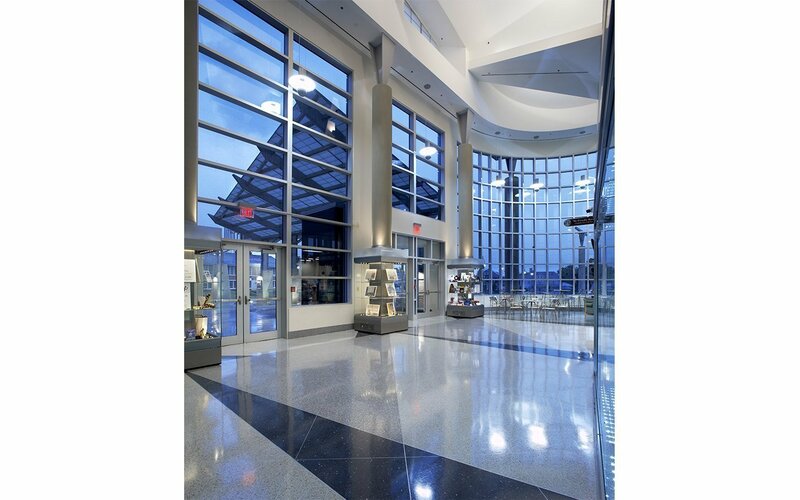 Permanent and traveling exhibition spaces, a 32-seat high definition digital theater, classrooms, conference areas, and significant collections storage areas round out the museum spaces. Upon opening, attendance increased 300%.